It’s no secret that we love to help women make good money decisions so they can live their lives to the fullest and build a secure future for themselves and their families. That’s why we are so pleased to announce we’ve received the 2016 Women’s Choice Award® for Financial Advisors! The Women’s Choice Award® is the premier recognition award for well-qualified advisors who are committed to the women’s market and serving their female clients. Achieving this award reaffirms our commitment to providing clients with extraordinary service as we address the special financial needs of women and their families. Women earn less, live longer, spend more time away from work, and need more money in retirement than men. They desperately need access to objective, smart and unbiased financial advice so they can live their lives to the fullest and meet their financial goals. Even though this award was given to us in recognition of the exemplary service we deliver to women, it underlines the commitment we make to all clients, and symbolizes the integrity, knowledge and service excellence we strive to deliver to each and every person we have the privilege to serve. Advisors who qualify for the Award go through an extensive evaluation process using 17 objective criteria. The award is based on an exceptional customer service experience, knowledge, overall satisfaction and other criteria. In addition, the advisor is required to submit letters of validation, substantiating their good standing at their current firm and/or the advisor’s clients are surveyed to obtain client feedback regarding service and practices. The Women’s Choice Award® Financial Advisor program was created by WomenCertified Inc., the Voice of Women, in an effort to help women make smart financial choices. 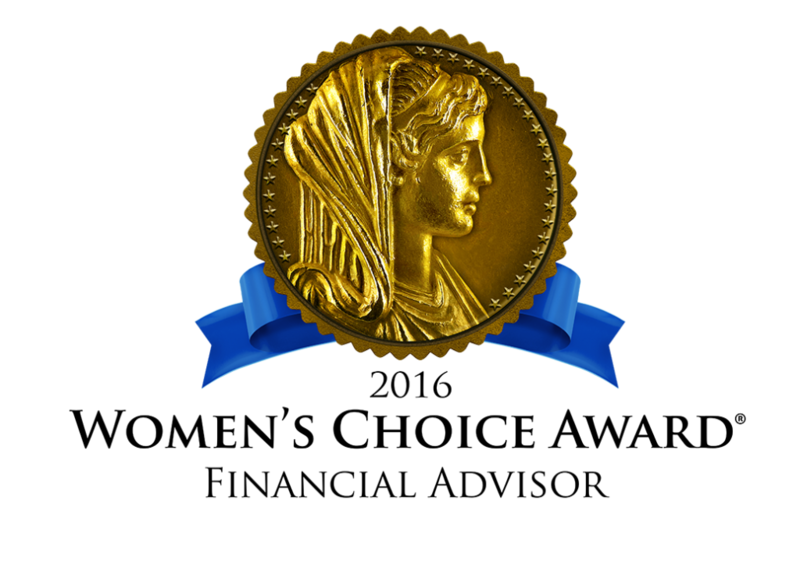 The Women’s Choice Award Financial Program is based on 17 objective criteria associated with providing quality service to women clients such as credentials, experience and a favorable regulatory history, among other factors. In prior years, Women’s Choice Award® Financial Advisors and Firms represented less than 1% of financial advisors in the U.S. Financial advisors do not pay a fee to be considered or placed on the final list of Women’s Choice Award Financial Advisors, though they may have paid a basic program fee to cover the cost of a comprehensive review and client survey. The inclusion of a financial advisor within the Women’s Choice Award Financial Advisor network should not be construed as an endorsement of the financial advisor by WomenCertified Inc. or its partners and affiliates and is no guarantee as to future investment success. 4 Responses to We Love To Work With Women Clients, And It Shows! Congratulations Mari and team! This award is very well deserved. I know first hand the rigor and excellence that are at the foundation of serving clients well at Adam Financial. The commitment to female clients’ financial well being is not just about the numbers, but about the understanding, calm, and confidence that come when clients feel the satisfaction of getting their financial house in order. Kudos to you all. Congratulations on the Women’s Choice Award for Financial Planners! I know I’d be one lost woman without your financial guidance. Thank you, Sandra! We are so glad we’ve been able to help!